We’re in the process of adding the contents of our 600 page Travel Guide manuscript to this website. We’ll be adding all the restaurants soon. We’ll be including complete information on each restaurant, including info for those with special dietary needs, mental and physical health challenges and disabilities. 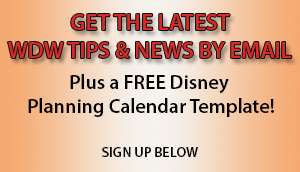 Like our facebook page here for Disney news and fun!